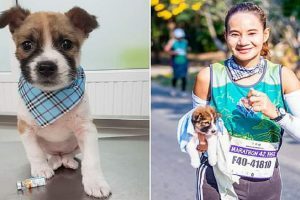 There’s no such thing as bad timing or unfavorable circumstances to adopt a dog – it’s all just a matter of heart, and Gobi, a tiny stray pup from China, is living proof of that. 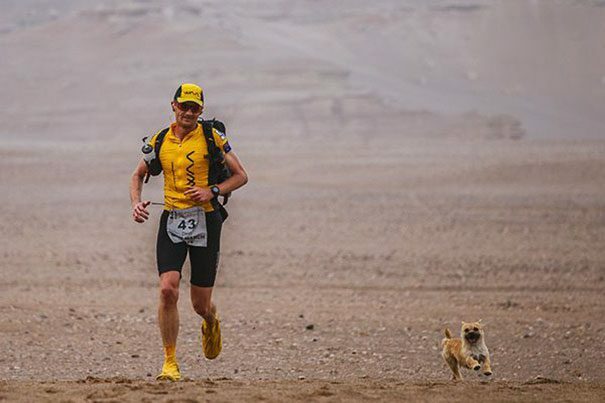 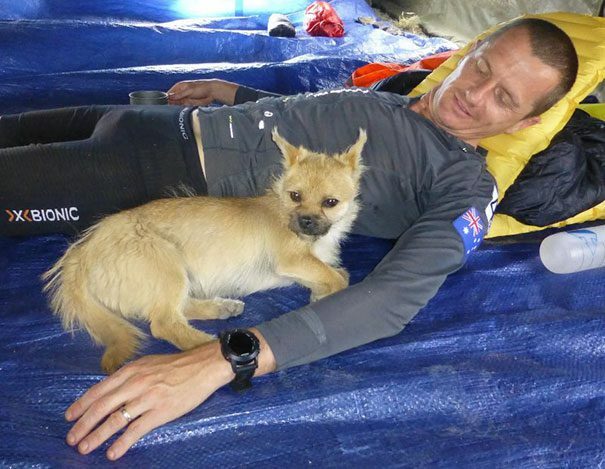 The pooch found her human in the midst of the 155-mile 4 Deserts Gobi March 2016, a grueling marathon held on China’s largest desert this June. 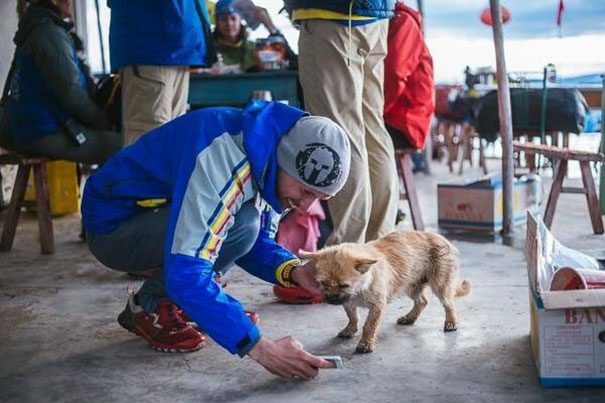 The pup jumped right into the race to win the heart of her favorite runner Dion Leonard, a very competitive athlete from Scotland. 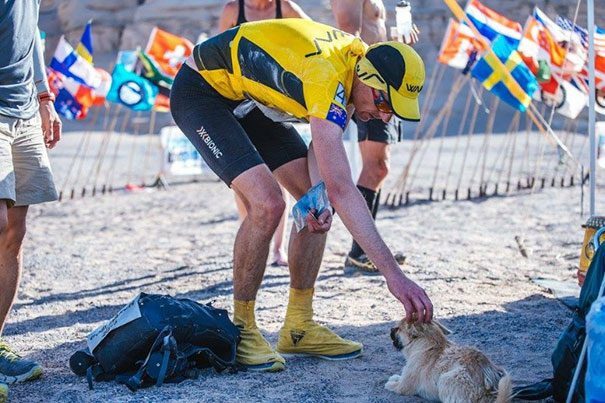 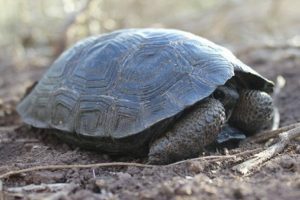 “On Day 2, I was at the start line for the race stage and she was standing next to me looking up at me,” Leonard told The Dodo. 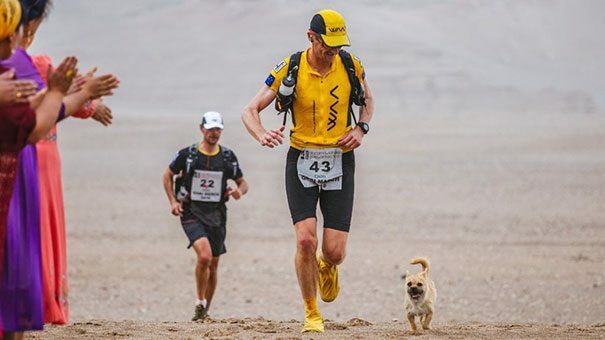 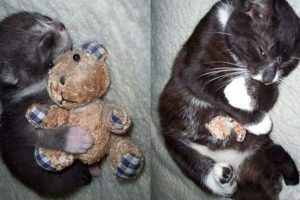 “I thought to myself this little dog isn’t going to last very long at my side as we raced off, but she ended up running the whole day and 23 miles distance.” When the pup wasn’t allowed to participate because of extreme weather conditions, the organizers would give her a lift so she could be with Leonard. 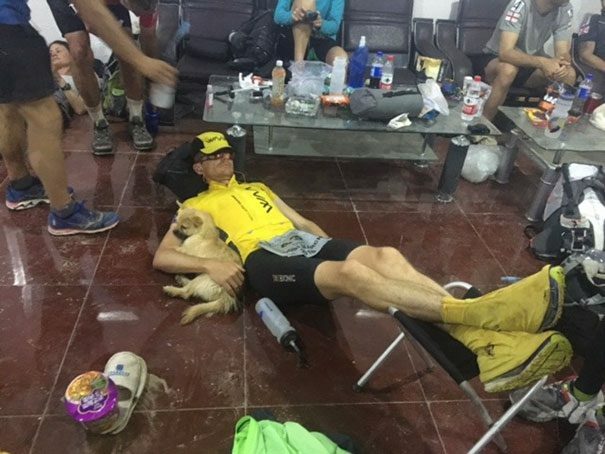 On the final day, the two crossed the finish line together. 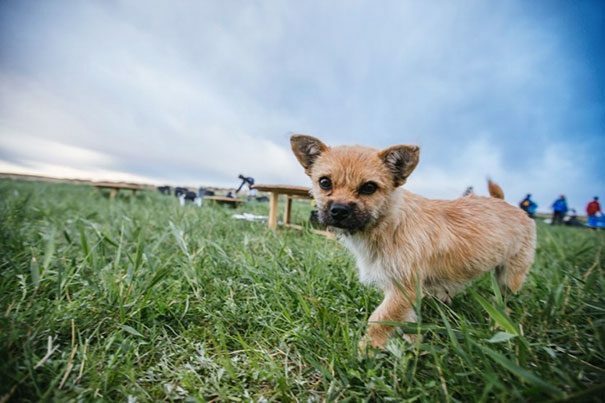 Now Leonard is determined to adopt the pup in spite of all the bureaucratic and financial issues he has to deal with to move the pooch from China to Scotland. 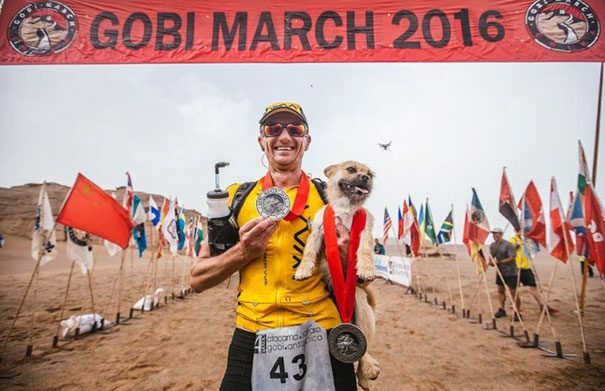 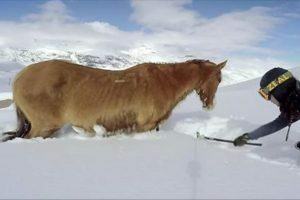 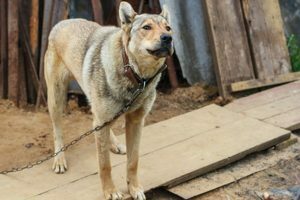 “Gobi picked me to be her pal for life, so I am doing what I can with some great support from around the word to make this happen,” said Leonard.